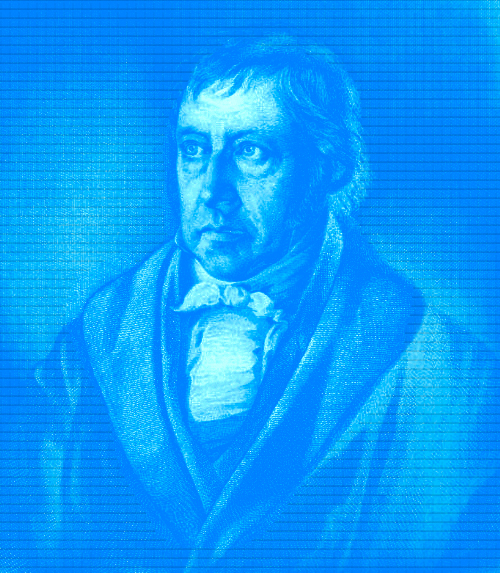 Why Hegel? Why now? Žižek has proclaimed this “Hegel’s century,” but then Žižek is also known for milking provocative claims for all they are worth. So that alone doesn’t get us very far. Evoking Hegel at this moment might seem particularly anachronistic; indeed many would describe him as the ultimate dead white male. If that weren’t enough, Hegel has the potential to represent everything that Postmodernists criticize about modernity—Western triumphalism, a totalizing system, the rationalizations of colonialism and Orientalism. On top of which, the Phänomenologie des Geistes is a baffling text about which there is much disagreement. This would all seem to make a Hegelian revival even less plausible. So why is such a revival currently ongoing? Part of the renewed interest in Hegel has to do with the end of Marx. When Soviet Communism collapsed, Marx became less threatening. In the 1990s, he was spoken of as dead and it was in this same period that class seemingly vanished as a popular category in the U.S. and elsewhere. The 2000s have led to a limited resurgence of Marx in a kind of declawed, less political, less empirical, and less economic guise. Once class and economic specifics are stripped from Marx he starts to look more and more like Hegel. What is more, with capital run rampant today beyond the worst fears of Das Kapital, Marx runs the risk of seeming dated. While I am not alone in thinking that some version of Marx is still relevant to the current economy, the case now has to be made; and for many, the Marx that seems most appealing is the philosophical Marx of Die Deutsche Ideologie and the Theses on Feuerbach, etc. This is a Marx vigorously engaged with Hegel. For these reasons, a whole crowd of scholars who otherwise define themselves as various kinds of Marxists (Žižek, Jameson, etc) have spent the last decade reaching back behind Marx to recover the Left-Hegel. Although I think the status of Marx is the biggest reason for the Hegel resurgence, it isn’t the only one.